Welcome to the Olympia Auto Mall, your local used cars dealership near Yelm, WA! We have 10 dealerships and 9 makes of vehicles. Simply put, we have it all! We are conveniently located at 2125 Carriage Drive SW Olympia. Our showrooms are waiting for you to discover that next car of your dreams. Simply take Exit 104 off I-5 to Highway 101. We are right off the Cooper Point Road-Auto Mall Drive Exit. Check out our special offers on used and new cars, and the superior customer service you'll only find at the Olympia Auto Mall. 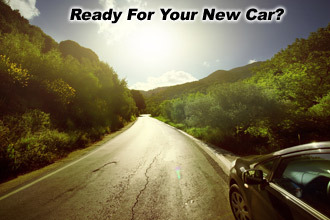 Our expert staff will assist you in your hunt for the perfect new or used car to fit your needs. Our cars are an integral part of our daily life. It is so important that they fit our lifestyle as well as our tastes. Let us help you get on the road with just the right vehicle. If you're looking for amazing deals on new or used cars near Yelm, the obvious choice is the Olympia Auto Mall. With the widest selection of new and used vehicles to choose from at the most competitive prices available, you can't go wrong! Check out the new 2018 models today.